Amateur Bikini Competitor getting ready for your first NPC Bikini Competition (or any other organization for that matter)? You are in the right place! As an IFBB Pro with over 25 shows under my heels, let me help take out the guess work so that you can step on the bikini stage at your personal best! If you are considering your first bikini competition, contest prep can be incredible confusing! There is so much information out there… much of it contradictory and downright wrong! In my First Time Bikini Competitor Guide, I want to help get your bikini contest prep started on the right foot. Whether you choose to compete in NPC Bikini or want to try out some of the other organizations… WBFF Bikini, Fitness America, Bikini America, NANBF, WNBF… whichever! There are specific things you need to know to get ready for the bikini stage. 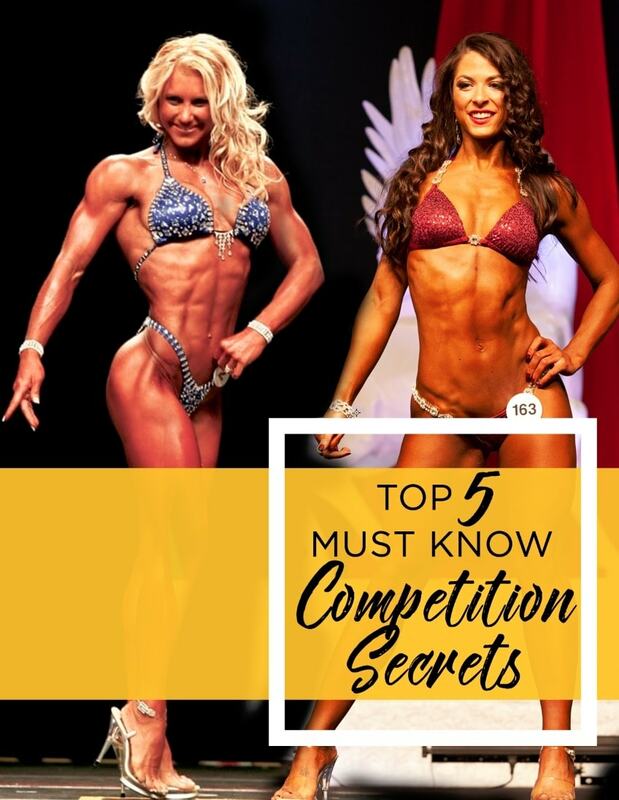 My First Time Bikini Competitor Guide is the perfect start for a woman considering a bikini competition and will answer some of the most common questions. Let’s get started! What are the differences between divisions in figure & bikini? Choosing a division for your competition can be difficult. 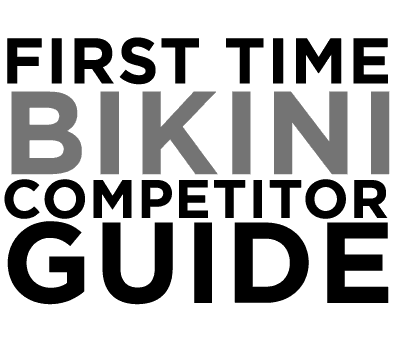 If you are reading my bikini competition guide for the first time, chances are you are leaning towards Bikini. 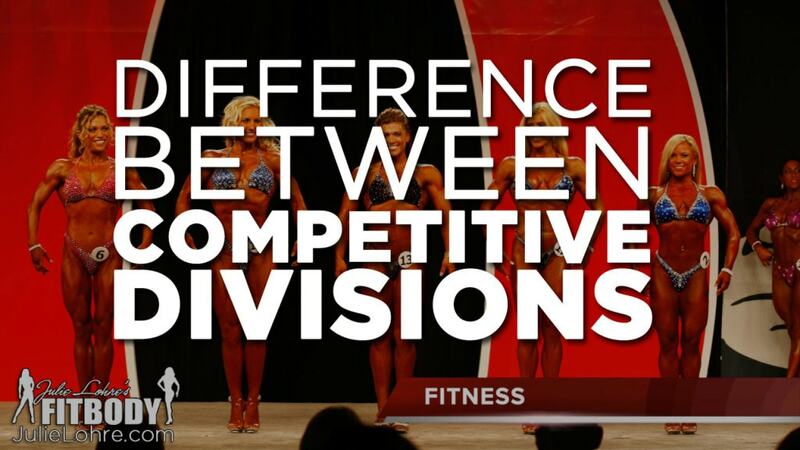 That said, you should know the differences between the competitive divisions for a physique show. In particular, you want to be sure to understand the differences between Figure and Bikini. For women in the NPC there are five different options that range in the amount of muscle and definition required: Bikini, Figure, Fitness, Women’s Physique and Bodybuilding. Be sure to check out my article about the difference between competitive divisions to find out more details and to compare. For most women, a bikini competition is a wonderful hobby and a great way to get into the best shape of your life. Knowing what the show expenses will be ahead of time helps you keep costs under control and let’s you know what to expect. Here are most of the show specific costs. Depending on how long you need to prep for the show and what your current conditioning is, there may be other costs you need to take into account. Keep in mind, you can save money in lots of places with a little creativity! Show Registration: $50 + depending on the number of divisions you enter. Suit: You can get a beautiful used suit for $125 +. A new custom suit begins at $150 and can go up as high as you would like! Optional Bikini Competition Costs… things that you might want. While there are a lot of things that you will need for sure when you are planning to compete, not every cost is mandatory. If you are looking for ways to save some of your hard earned money or if you have a little extra budgeted and want to be sure that you are spending on the right items, these are some optional competition costs that you can choose from. BONUS! You might already have some of these things in your closet (or your friends closet!) so if you have them on your own already, you can re-use them! 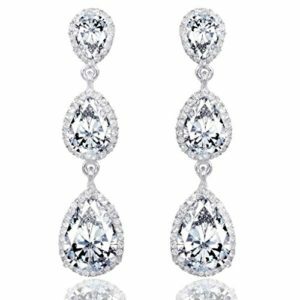 Remember that wedding you were in and those adorable earrings that you thought you would never wear again? Time to pull them out! I do have some favorite competition jewelry in particular that you might want to check out specifically for the bikini stage. One thing that I would encourage you to splurge on is competition makeup. Makeup for stage is significantly different than makeup for every day and you are going to have on the competition tan which is much darker than your normal skin tone. If you can, spend the extra and have your competition makeup professionally done the morning of the show. I highly recommend Glossa Professional Makeup artistry. These ladies are phenomenal and do some of the best bikini competition makeup around. There are several different competitive organizations you can choose from for your first amatuer bikini show! The largest of which is the NPC Bikini Division a part of the National Physique Committee. Here are some of the top organization and the associated costs. These will vary depending on the show. I suggest checking out each of the websites and seeing if there are shows in your area. Depending on your budget, you have lots of options for your perfect bikini competition suit. You can rent one, buy a used suit or have a brand new one custom made just for you. If you are planning to compete in several bikini shows, investing in a custom suit is a great idea. Once you have a bikini competition suit you love, you can use that suit for several shows or seasons. When you decide you are finished with that suit, if you take good care of it, you can resell it for 50-75% of your purchase price. Be sure to check out SuitTrade.com first to see if there is an amazing used competition suit that would fit your needs perfectly. 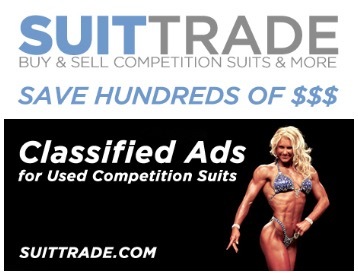 SuitTrade.com is the source for classified ads for Used Bikini Competition Suits! Matching buyers with seller and saving women hundreds of $$ in the process! Want to take away the guess work and get into your best ever shape? Work 1:1 with Julie Lohre to achieve your Competition Dreams! ALL ABILITY & EXPERIENCE LEVELS. From New Competitors to Seasoned Pros!